By Build Up — crossposted from PCDN Network. Last year, we launched the Build Peace Fellows, a program focused on building local potential in implementing technology, arts, and research in peacebuilding processes through supporting an embedded individual with training, mentorship, technical support and funding. The fellowship program is an extension of the work we’ve done to set up the Build Peace Conference and surrounding community to support the field of peacetech, a shorthand term for the growing use of technology as a strategic tool in peacebuilding processes. As part of our work with the Build Peace community, we’ve helped to establish best practices for peacetech processes. We developed this fellowship to meet the strong need to give peacebuilders hands-on, guided experience with navigating the sometimes difficult space between a peacebuilding intervention and the tech tools that might bring new dimensions and possibilities to the work. 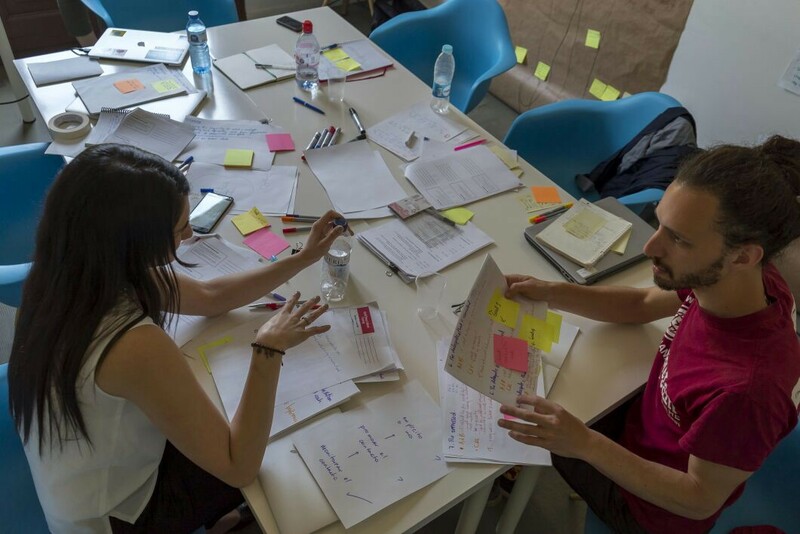 Over the course of the fellowship, a Build Peace Fellow takes an idea for a peacetech intervention, runs it through a user-centered design process, and produces a pilot implementation. Through our 2016–17 pilot program, we’ve come to realize how important this mentored-guidance approach is to the success of future peacetech practitioners. Applications for the 2017–18 cohort close on June 30, and before that, we want to share a little of the work that happens behind the scenes to support our fellows. The results of our pilot were spectacular, and we’ll be detailing them elsewhere. Not only did the Fellows produce strong interventions rooted in the local contexts, they expressed over and over how the program broadened their skills and understandings in peacebuilding and technology, and how it helped them introduce technology as a strategic tool to their possibly skeptical and already overburdened organizations. For us at Build Up, their feedback speaks to the strong need for rigorous programs like the Build Peace Fellowship. Technology is a complicating factor in the already hard work of peacebuilding. We aim to give peacebuilders an opportunity to have a hands-on experience with peacetech, with real world impacts and consequences, but with necessary pillars of support to help the them find a clear vision for implementation. We hope other practitioners will find the lessons we have learned useful — we’ll certainly be integrating them in our 2017–18 fellows program. Our program has four key components. As fellows begin their design process, they come together for a week-long training course, covering a variety of topics including user-centered design, managing political space, monitoring and evaluation guidance, and other topics about the intersection of peacebuilding and technology. They leave with a plan to introduce the project to their host organizations and communities. Fellows work with developers to create a technological tool. After consulting with their organizations, we hosted a #peacehack in which proof-of-concept mock-ups were built of all three tech tools. During the fellowship, mentorship plays a crucial role in input and guidance. A lead mentor provides close, and sometimes in-person support, while external mentors provide a strategic view and help identify key needs. Fellows are given a $10k grant to cover implementation costs, testing workshops, staff salaries, and other needs of the project. Diana Dajer and Jacob Lefton hard at work at the Build Peace Fellows training. Peer-to-peer learning was very valuable — fellows come from different parts of the peacebuilding field and learn from each other. It provides depth and dimension in their learning. We have had several opportunities for them to come together over the course of the year, as well as connections through social media and coworking platforms. They provide camaraderie and support, but also add a depth and dimension to the learning that would be missing in isolation. The fellows, and generally people embarking on tech for peace for the first time, benefit from structured monitoring and evaluation guidance. There are necessary technical understandings that help with the design of indicators and monitoring methodologies, and a strong handle on these early on helps lay groundwork for design needs and sustainability of projects. 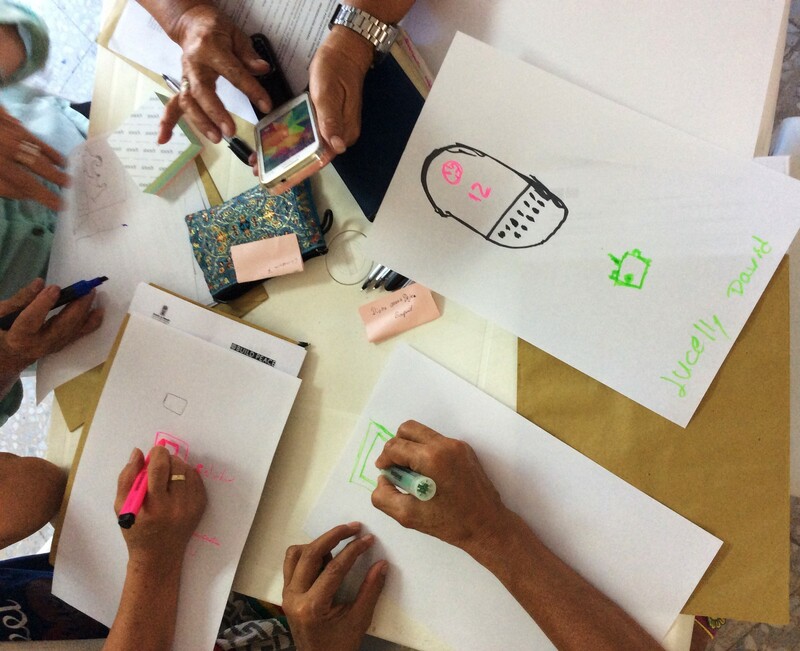 A participatory design process is in itself an intervention, and should be treated as such. When the Fellows led design workshops with their users, they were not only building toward a peacetech intervention, but modeling ideals and teaching skills that their intervention was designed to sustain. Both the host organizations and the communities stand to grow as much from the process as the implementation. This is in line with what we’ve discovered in other areas — that process is as much part of peacebuilding as the outcome, and needs the same careful contextual understanding as any other intervention. As well as participatory design with the intended users, fellows would ideally work with, and eventually hand the development process over to local coders. This supports a basic tenant of our work in peacebuilding — that local ownership of a project is key. This is an important consideration for longer-term sustainability. Grant funding is incredibly important so we don’t need to rely on pro-bono support from developers to produce the alpha build of the tech tools! All the developers, paid and pro-bono, who worked on the fellowship projects did an incredible job (special thanks to Just Peace Labs and Elva for their valuable support), but in the end this is both a quality and ethical concern. If these projects deserve professional attention, so a half-working tool doesn’t get in the way of itself, then the developers deserve to be compensated for it, plain and simple. Mentorship is the central pillar around which the project blossoms. Lead mentors came from the Build Up team, and are both thought-leaders and practitioners with extensive experience implementing peacetech across a range of contexts. Their lived experience as practitioners is as important as their technical skills in the use of technology. A lot relies on the Mentor-Fellow relationship, to help keep the Fellows focused, help them understand the opportunities and pitfalls of the tools they are attempting to learn, and help them overcome unexpected stumbling blocks. In addition, the lead mentor needs to help guide the external mentors, to gain the most strategic value for their time. This past year has been an incredible journey. We’re very proud of our Fellows and their accomplishments. We’re incredibly grateful to partners like PeaceNexus, whose generous contribution makes this possible, PCDN, who has done incredible work to raise awareness of the program and attract many of our applicants, and the local partners who support our fellows. Together, we’ve learned a lot, and we’ll be applying our hard-won knowledge to next year’s program. Implementing technology in peacebuilding processes is generally neither as simple nor as straight-forward as it seems at first glance, and we’re committed to understanding how to effectively guide people through the implementation. Seems like an interesting program? Our 2017–18 Fellowship applications are open until June 30, and we’d love to hear your ideas! Questions? Comments? Find us on twitter, facebook, or send us an email.